The Flint Institute of Arts recently completed a 2,400 square foot renovation that includes the pottery studios, ceramics labs and a state of the art kiln room. 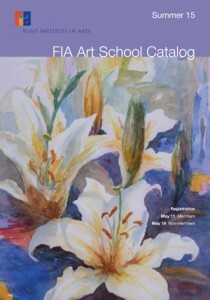 Adult day and evening classes taught at the Flint Institute of Art. Scheduling and payment is handled by the institution. 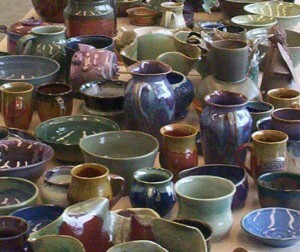 Adult classes serve a broad range of still levels through various classes. A supportive atmosphere provides a safe, encouraging, and educationally sound environment for students to explore the creative process at their own pace. Visit the Flint Institute of Arts website for the current schedule. Please note that all classes are not available at all times. A class for students with little or no clay experience. All basic techniques covered. A class for the beginning to intermediate student covering handbuilding basics, glazing basics, but concentrating on mastering the potters wheel. A class for students with throwing experience, focusing on refining specific techniques and making specific objects. I will sometimes specify these classes as “Pots with Lids” or “Pouring Vessels”. Oriented toward functional pottery. A class for the student with some glazing experience. This class cover all methods of applying glaze, pouring, dipping, spraying, and moves on to stenciling, resists, multiple firings and specialty glazes. For the experienced potter. From raw materials to the basic chemistry of glass, we start testing on tiles, learn to convert to the unity formula, and make glazes from scratch. A class for all level students. Learn how all pieces get fired, from high fire gas, low fire oxidation, luster’s and decals. Some clay experience preferred. We will fire various clay bodies at different temperatures, use saggers, soluble salts, and other materials to achieve unique effects on non-functional forms. Some clay experience preferred. A class focusing on individual projects for each student, some figurative sculpture, some abstract, some functional garden art. Clay experience required. Indoor and outdoor fountains of various types, from traditional wall and free standing, to abstract assemblies.